Having played snooker for ten years and becoming a century maker he has now switched to billiards. To date his highest practice break is 165 and has had a 75 in a match. He has twice been a Scottish Billiards Championship finalist, losing to Dave Sneddon on both occasions. His interests apart from billiards are salsa dancing, football and most sports, including the history of billiards. 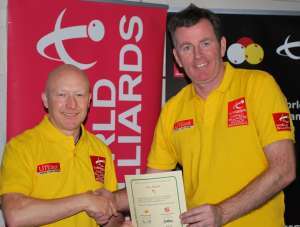 He is a qualified WPBSA Billiards coach.